D&N Bending can design, develop, and manufacture thermal plastic extrusion dies, roll form tools, and secondary tooling for a complete tryout or production part. With 6 different lines ranging from 1.5” to 4.5” diameter barrels, D&N can handle any supported or unsupported extrusion. Custom plastic extrusion is D&N Bending’s specialty. Engineering and production specialists provide consultation, design and production of custom extrusions to meet a variety of end-use challenges. Services include product/part design and engineering, die development, tight tolerance processing and value-added fabrication. D&N Bending is a leader in custom thermoplastic extrusions, fabrication and assembly. From design, to prototype, to final production, our cost effective and innovative solutions can help you and your business succeed. Customers seeking extruded plastic tubing and plastic profiles trust D&N Bending because of our extensive experience in working with a variety of thermoplastic materials. 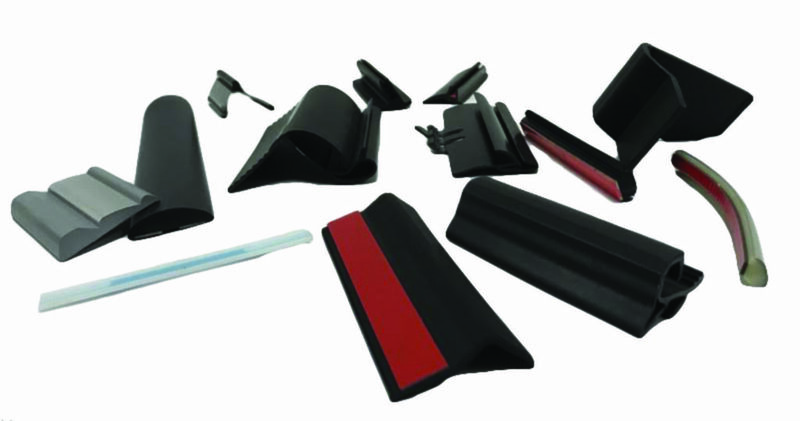 As a plastic profile extruder able to produce extrusions from small to large, D&N Bending has extensive experience in the co-extrusion of other materials, such as thermoplastics and silicone rubber. We can work with specialty thermoplastics upon request. Customer satisfaction is worked right into our production process. Using approved customer drawings, D&N Bending designs tooling, develops the right process capability to meet customer specifications, and oversees manufacturing of the extruded plastic tubing or plastic profiles.